Rachael Lorna Johnstone is Professor of Law, Arctic Oil and Gas Studies, at Ilisimatusarfik (the University of Greenland) and Professor of Law at the University of Akureyri, Iceland. 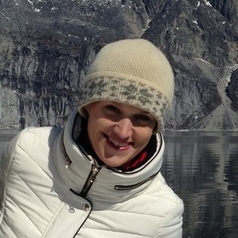 She is the co-director of the Arctic Oil and Gas Research Centre at Ilisimatusarfik. Rachael specialises in Polar law: the governance of the Arctic and the Antarctic under international and domestic law. She is the author of Offshore Oil and Gas Development in the Arctic under International Law: Risk and Responsibility (Brill 2015) and has published widely on the rights of indigenous people; international human rights law; governance of extractive industries in the Arctic; international environmental law; due diligence; state responsibility; and Arctic strategies. She is a member of the International Law Association, the Arctic Law Thematic Network of the University of the Arctic, and the Global Arctic Research team. She is on the Advisory Board of the Polar Research and Policy Initiative and is a Board Member for the Equality Fund of Iceland under the Parliament of Iceland. Rachael holds a doctorate in juridical science from the University of Toronto (2004), an M.A. in Polar Law from the University of Akureyri (2014), an LL.M. in Legal Theory from the European Academy of Legal Theory (2000) and an LL.B. (Hons) from the University of Glasgow (1999).